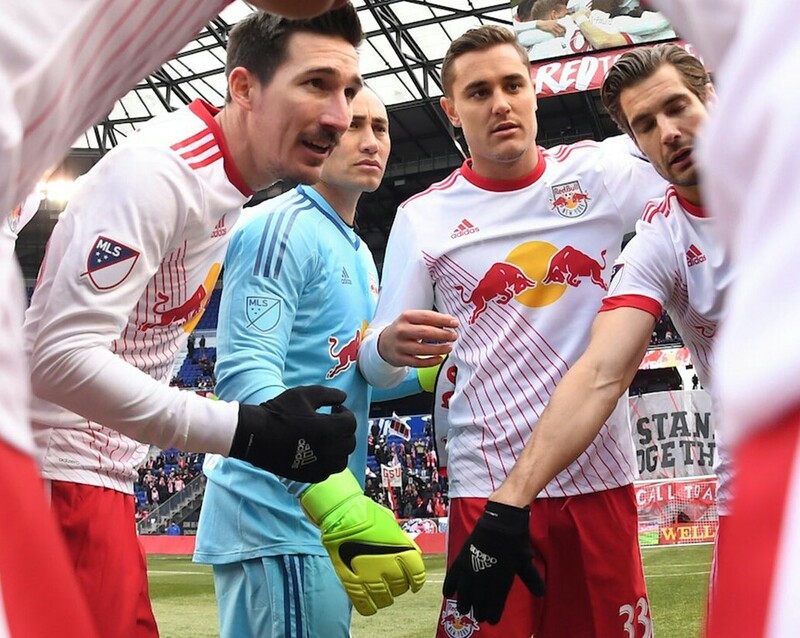 Dating back to July 2016, the Red Bulls are now unbeaten in 18 league games. The all-time MLS record for an unbeaten streak is 19, held by both Columbus and FC Dallas. Columbus' streak spanned two seasons, while FC Dallas' was contained in a single year. Red Bulls Head Coach Jesse Marsch said of Howard, who made three big saves of Bradley Wright-Phillips, the leading goal scorer from last year, "You know, I know Tim well from my days with the National Team, and I've seen enough of him to know how good he is and how talented and athletic. He's a big-save keeper. So I wasn't surprised to see that. "I thought the first one on Brad was very good today. Then we've scored like a couple own goals from good crosses and good early crosses and runs in the box. So, I mean, that's the whole point of trying to put in early balls on the ground because it puts defenders in situations that are difficult. "So we've been rewarded with two own goals here in the first two games. As the season goes on, I think we'll get sharper and better, and we won't need to count on own goals as much. But, yeah. "I think Brad will get sharper as time goes on, which we all know, and the goals will start coming from him. But great game from Tim Howard today." Marsch said of his goalie, Robles, "Yeah, it's not surprising with the two goalkeepers in this match that it turned out out to be a 1-nil game. I know that they both took it personally looking across the other side of the field that there's competition within the National Team. Obviously, Tim's with the National Team, but I think Luis is emerging as a guy they can count on. I wouldn't be surprised to see Luis called into the next camp, because I think he's had a really good start to the year and I think he had a really good camp. "So that part of the battle was really fun to watch. You know, even though Tim made some great saves, Luis wound up coming in with a win and a shutout." Robles said of the match, "I thought it was a gutsy performance by us. In the last two games we were able to see things out and that was something that we really struggled with last year. So we know that we're a work in progress and there's a lot of work to go-we're missing some sharpness-but we know once we get the quality part of it, and that's our foundation, we should be able to get a lot of good results home or away." Robles said of starting off strong this season, "It's something to build off of. Obviously last year at 1-6, that wasn't an ideal way to start the season. Nonetheless, the belief was there, we continued to work at it and finish strong, and that's why we were able to win the East in the end. We know that there are big challenges this year. We know that it's always going to be the regular season, but I think the bigger challenge is how in the biggest moments, we can be bigger than the moment."